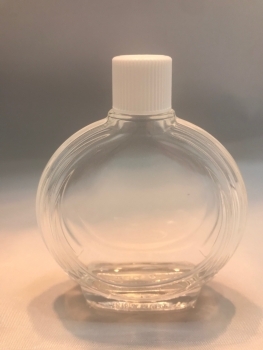 SPECIAL: One dozen, 2-ounce, clear glass, round, ribbed bottle with black cap. Sold by dozen only. Weight 3 lbs per dozen bottles. Shipping charges added at Check Out.